Cody Blue Snider is an award-winning filmmaker and acclaimed music video director. Born in New York, he was raised by Twisted Sister front man Dee Snider and a small pack of stray cats. 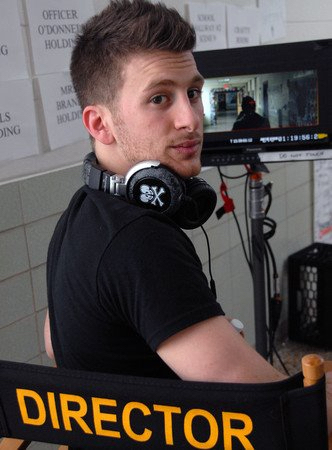 He is currently based in Los Angeles, preparing to make his feature-length adaptation of Foolâ€™s Day which won the Audience Choice Award at the 2014 Reel Shorts Film Festival. At age 19, Cody dropped out of film school to write, direct, and edit his debut short drama All That Remains which won awards internationally. The filmâ€™s success propelled him into professionally directing music videos which have repeatedly been hailed as â€œone of the yearâ€™s best metal videosâ€ by AOL Noisecreep, Fearnet, Revolver Magazine, and Kerrang. Along with critical acclaim, his metal music videos have received millions of views online and the attention of 14-year-olds living in the Midwest who occasionally message him on Facebook. In addition to serving on the jury, Cody will be presenting a 4-hour workshop (including a half-hour break for lunch) called Fool’s Day – Concept to Creation (Making an Award-Winning Short) as part of the Filmmaker Insights programming on Sat, May 9. He’ll also be a panelist on both of the hour-long Filmmaker Insights Panels: Looking for Laurels – Festival Circuit Tips from the Pros and Moving on Up – Turning Short Film Success into a Feature Debut.